Sandridge RMH Acquisition of Morton Ill., is recalling approximately 1,222 pounds of ready-to-eat beef pot roast. 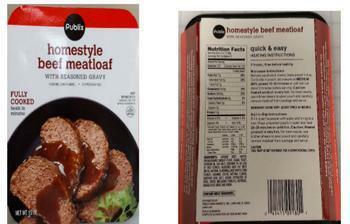 The product is mislabeled as beef pot roast, but actually contains beef meatloaf. In addition, the product contains wheat and soybean oil, allergens not declared on the label. There have been no confirmed reports of adverse reactions due to consumption of the product. 15 oz. plastic trays of “Publix homestyle beef pot roast WITH SEASONED GRAVY” with a lot code of 72487338, a case code of 09080/43303, and a use or freeze by date of December 4, 2017. The recalled product, bearing establishment number “EST. 17789B” inside the USDA mark of inspection, was shipped to retail locations in Florida and Georgia. Customers who purchased the recalled product should not consume it, but throw it away or return it to the place of purchase. Consumers with questions about the recall may contact Bill Wiedmann at (309) 291-2112.